Life, Love, Lies & Lessons chronicles pieces of my own journey and the lessons learned along the way to find a life that was truly my own. I found the woman I was meant to be, the woman that had been hidden for so long and the woman that God calls me to be today. I found love, I found truth and I eventually even found peace in my heart and in my life. By going on this journey with me, you will learn how a healthy dose of radical honesty, true forgiveness and miraculous self-love can transform your own life. Health is available to all of us; so is joy and happiness and peace and light – just by living honestly and authentically. Finding your authentic self, I’ve found, is a journey worth taking. The audio above is an interview I did on Hay House Radio that gives you a glimpse into the book and the lessons learned. 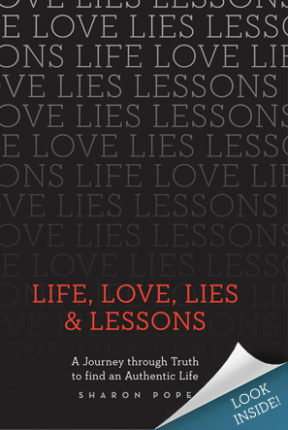 View the Author Video here to get to know me and what inspired me to write Life, Love, Lies & Lessons.